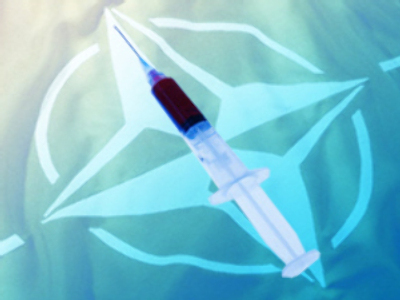 Since NATO forces invaded Afghanistan, the production of heroin in the country increased by 2.5 times and Afghanistan has become the world leader in heroin production. Eighteen tonnes of heroin from Afghanistan ends up in Russia each year. As a result of this war Russia has become one of the main markets for Afghan opiates, involuntary acknowledged Russian Federal Drugs Control Service, and drug traffickers are financing terrorist organizations worldwide, says the Interfax news agency. The Director of FDCS, Viktor Ivanov, tolds journalists that a drug addict’s life is limited to 5-7 years from the moment he becomes one. He also said that those 400,000 drug addicts officially registered in Russia in 2001 are already dead and the number of new ones is growing by 30% every year. That is why the losses should be regarded as Russia’s direct casualties in the war that NATO wages on Afghanistan. “The problem of Afghan opiates has a geopolitical character,” stressed Ivanov. 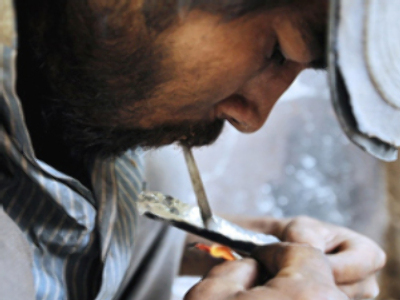 While in Russia up to 90% of drug addicts depend on Afghan opiates, in Europe this volume is up to 10%. The head of the FDCS insists that it is not just the Taliban that manages the heroin traffic but the Afghan governmental and security services’ officials known by name. The fact that dozens of high-ranking Afghan officials are known to be involved in the drug industry means that corrupted authorities work hand in hand with the Taliban terrorist movement, which in turn means that NATO military forces support the current Afghan regime. Within the framework of the Russia-NATO Council Russia is financing and conducting special training for Afghan police squads dealing with drug trafficking. Unfortunately, for more than a year not a single Afghan policeman came to Russia for training which is no wonder considering the fact that all actions of Afghanistan’s security services should be sanctioned by the U.S.